Mix it up at El Rey Taqueria with a chorizo taco (right) and a Cuban (left) with black beans and plantains. As the nationwide egg shortage continues unabated, grocery stores and restaurants alike are making cuts to keep profits in check. H-E-B announced this morning that it would be limiting customers to three cartons of eggs in a single purchase, while Whataburger continues to keep reduced taquito hours to the chagrin of Texans everywhere accustomed to getting their taquito fix 12 hours a day. In response to the avian influenza outbreak that's killed millions of chickens (and turkeys) in the Midwest, a massive loss that sparked the current egg shortage situation, the fast food giant announced earlier this week that it would only serve its breakfast taquitos from 5 to 9 a.m. on weekdays and 5 to 11 a.m. on weekends. Now, as much as we at Houstonia love Whataburger—and trust us, it's a lot—this situation has a silver lining of sorts: Consider this an excellent opportunity to patronize a local joint for breakfast tacos instead. 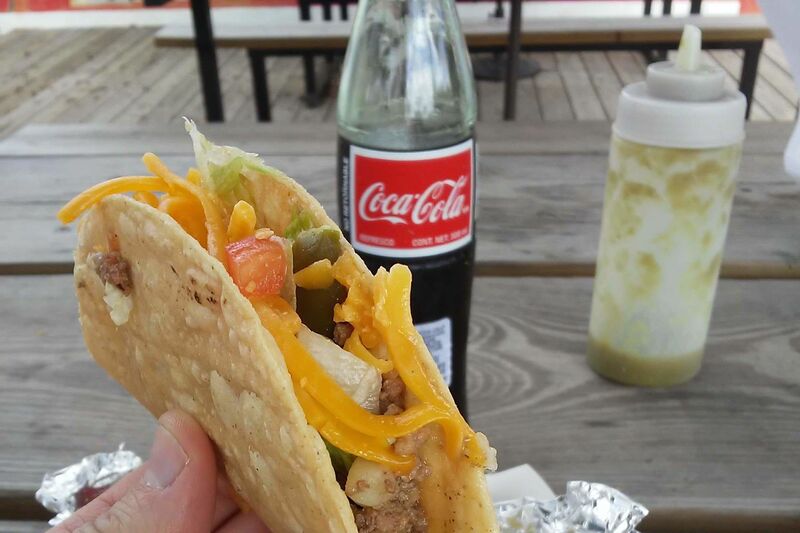 It's not like Houston isn't lousy with great breakfast taco places, after all. And you know what? Unlike Whataburger, they serve chorizo, a.k.a. the orange-hued pork sausage of the gods. 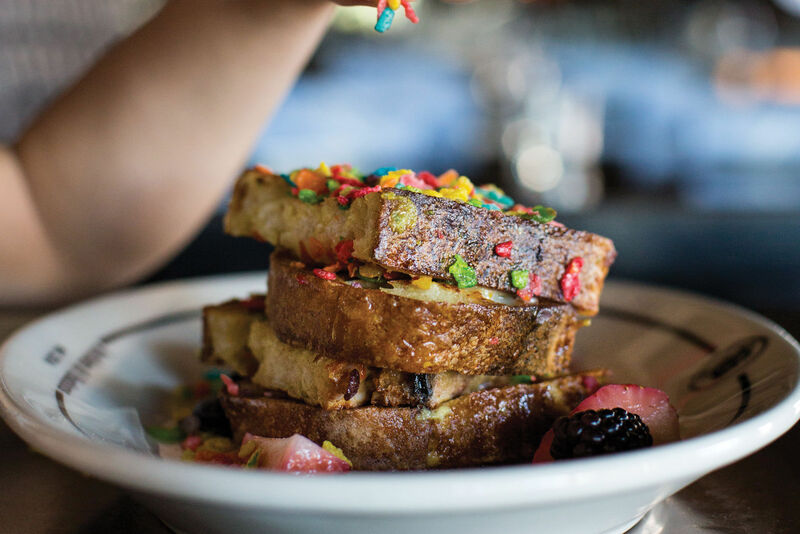 Here are five of our favorites to get you started—none of which have raised their own prices nor shortened their hours. Conveniently downtown adjacent, this longtime EaDo favorite makes its own flour tortillas on site (pretty much a prerequisite for this list) and is heavily patronized by both white- and blue-collar workers in the mornings, everyone lined up with the same end goal in mind: a bag full of cheap, delicious breakfast tacos. 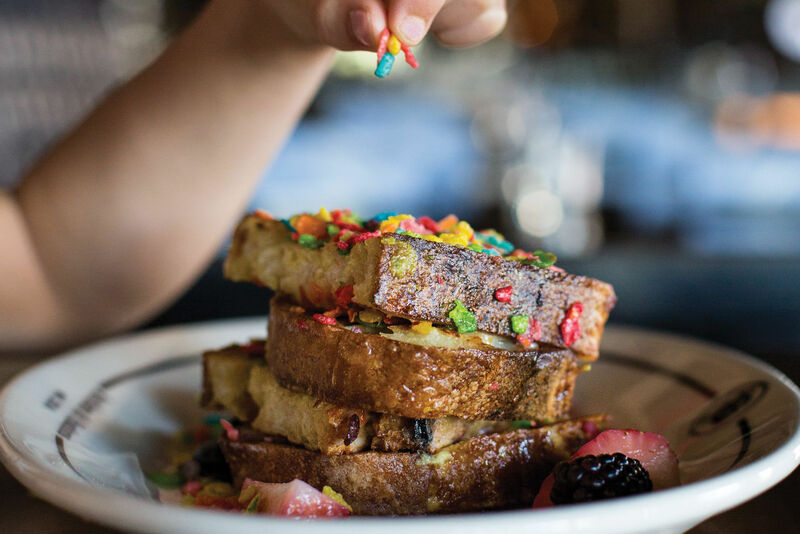 Unlike the other spots on this list, Brothers is not where you go to post up and have a leisurely meal—at least not in the summer. Seating here is patio only; the inside is merely a brick edifice containing a giant steam table in front and ladies making tortillas in the back, so grab your bag to go. Like Laredo Taqueria below, this Houston-based chain has a handful of locations scattered across town, including a far-flung outpost in Copperfield at Highway 6 and West Road and a relatively new location on Katy Freeway at Bunker Hill, so what I'm saying here is that there's no excuse for not stopping here on your way into work and grabbing a sack of its amazing chorizo breakfast tacos for the whole office (p.s. grab a latte while you're there because somehow El Rey makes some of the best lattes in town). In the mood for something a little different? 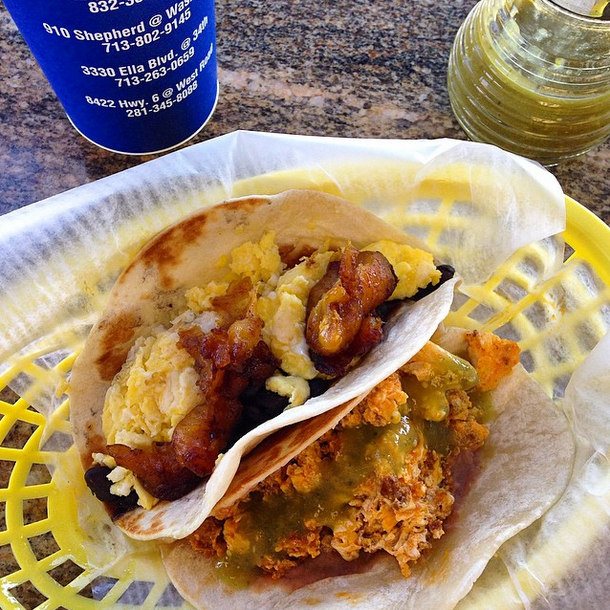 El Rey's Cuban breakfast taco with black beans and plantains is a sweet, filling way to start the day. 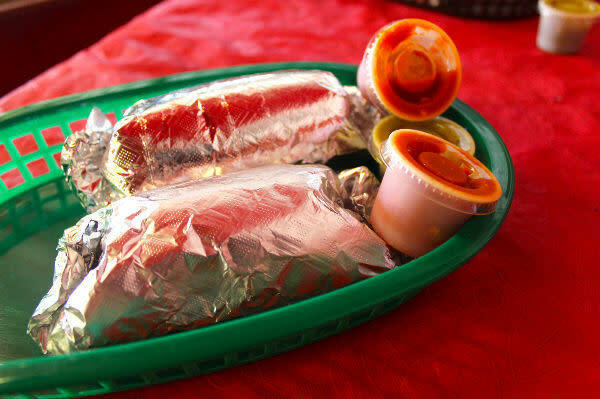 Everyone has their favorite location of this local taqueria chain. For Robb Walsh, it's the one at Patton and Fulton on the north side. For me, it's the one on Washington Avenue that's as familiar as my own living room. Regardless of which one you choose, know this: Laredo's breakfast tacos are served on fresh, fluffy, handmade flour tortillas with a hearty schmear of refried beans and overflowing with your choice of chorizo, barbacoa, chicharrones, spicy sausage, nopales or any of the other selections on the long breakfast menu. Whether at its location on the Mid-Main island in Midtown or along White Oak Blvd. in the Heights, Tacos a Go-Go is a go-to for late-night breakfast tacos, especially post-concert at the Continental Club or Fitzgerald's. Of course, if you're one of those breakfast-in-the-mornings people, you'll still find plenty to love about the tacos so large they're practically breakfast burritos and the ample selection of salsas (the verde is a personal favorite) on the fixings bar. You know a place is doing something right when it's been serving the same meal to hundreds of hungry customers every day for nearly 40 years. Well, not every day—Villa Arcos is closed on Mondays, but makes up for it the rest of the week with extended hours that allow customers to enjoy breakfast tacos in the wee small hours of the morning or for lunch. Of particular note are the bacon breakfast tacos and the chicharron breakfast tacos, both of which I consider to the definitive versions of each in the entire city of Houston. Bold words, I know, but Villa Arcos is just that good. The bacon tacos at Villa Arcos are the best of their kind in Houston, period.